Designers love Crema Bella tiles because it simply goes with everything. Whether you’re working up a new living room for a client with ocean property or want to develop a welcoming foyer for an upscale restaurant, Crema Bella tiles are the perfect choice. Here are just a few ways this luxurious stone can be worked into your design plans. Brown is a hot neutral right now, but it can be overwhelming. Use the soft ivory of Crema Bella to accent darker colors and keep them from feeling oppressive. They make a beautiful backdrop on stair risers to offset natural wood treads. Install Crema Bella on a bathtub apron and then use dark brown or even black on the surface around the tub. This neutral shade will work with any color and design theme, so it’s a natural choice for most settings. In addition to using large tiles as an accent, you can also use mosaic tiles to add texture and a soft color to the space. If your clients are picturing an ocean of white in their living room, then you can add a little variety and beauty with Crema Bella. The beautiful tiles are lightly veined, so a slight pattern will appear without losing the monochromatic feel. Pure white furniture will look cleaner and brighter against the cream shades, and you can make even the smallest space feel large and luxurious when you go with a monochromatic look. This theme works best with contemporary styles where the furniture has clean lines and minimal accessories. The veining in the flooring and the incredible shine of the tile will prevent it from feeling bland, but it won’t take the spotlight away from the stunning furniture and other accessories in the room. Marble has a natural warmth that most people desire. Even the most modern room strives to feel inviting on some level, and Crema Bella makes it easy to create a room that people can be comfortable in. The soft colors are never harsh, and they match any decorating style. A room that might otherwise feel cold and distant because of the stark furniture can be warm and inviting when this marble graces the floor. People who love the contemporary look and clean lines of modern furniture can still enjoy that look without worrying that their home will feel too austere. Unlike some other flooring options, Crema Bella tiles look great with whimsical and traditional furniture. A zebra print ottoman might look out of place in some decors, but it can tie an entire room together when used with Crema Bella tiles. The most whimsical furniture can go from dreadful to daring and bold when it’s used in a room finished off with beautiful marble. Likewise, the marble looks incredible with traditional furniture featuring classic lines, deep cushions, and inviting fabrics. When you’re designing a space with intricate accessories, you want those little details to show up. While the floor should be attractive and inviting, it shouldn’t dominate the room and take attention away from elegantly scrolled banisters or heavily detailed woodwork. Other flooring options may compete with these features, but Crema Bella forms a stunning backdrop that looks incredible without stealing the show. It’s the perfect finishing touch when you need to show off amazing accessories and architectural features. Crema Bella tiles are perfectly suited as flooring, but they can also be installed on walls. These cream tiles with their delicate veining can be used as backsplashes in the kitchen or in the shower. The neutral colors ensure that they’ll work with any color scheme and decorating style. They’re easy to clean and maintain, so your customers will appreciate having them in the home. They can be used to highlight beautiful traditional cabinets or to cover a wall in the laundry room for a more upscale look. In businesses, they’re ideally suited to walls in high traffic areas that need to be cleaned regularly. Regardless of the style of room you’re designing, Crema Bella marble will make it more luxurious and elegant. It’s an upscale building material that works with any style of furniture and décor. It can take a casual room and make it more elegant while maintaining that warm and inviting feel. It can be used in modern décor to warm up the space while making it more luxurious. It can also be used with traditional furniture to help take it to the next level while keeping the room down to earth. You can count on your clients noticing the difference and appreciating the upscale look. Marble is easy to clean, highly durable and valuable. It can increase the value of a property, and it will certainly make any room more attractive. Strong enough to withstand commercial use, it’s the perfect choice for any busy family. When you present clients with your design ideas, and Crema Bella is one of the highlights, they’re sure to be impressed. It can help you close more deals, and it ensures that your clients will share your name with their friends and family members. Impress your clients by offering them flooring options that will work with any décor. People understand that they will have to update their décor occasionally to keep their home or business fresh and inviting. With other flooring options, they’ll have to invest in new flooring along with fixtures and accessories. However, they’ll appreciate a designer who brings them a flooring option that can last for decades. With flexible and versatile Crema Bella, homeowners won’t have to replace the flooring just to enjoy a fresh look. They can change things around the holidays and trust that everything will look with their Crema Bella flooring. They’ll appreciate the long-term cost savings, and that helps you make a great impression when you’re presenting them with design options. When it’s time to make some decorating changes around your home, start with neutral bases to serve as a fantastic artist’s palette. 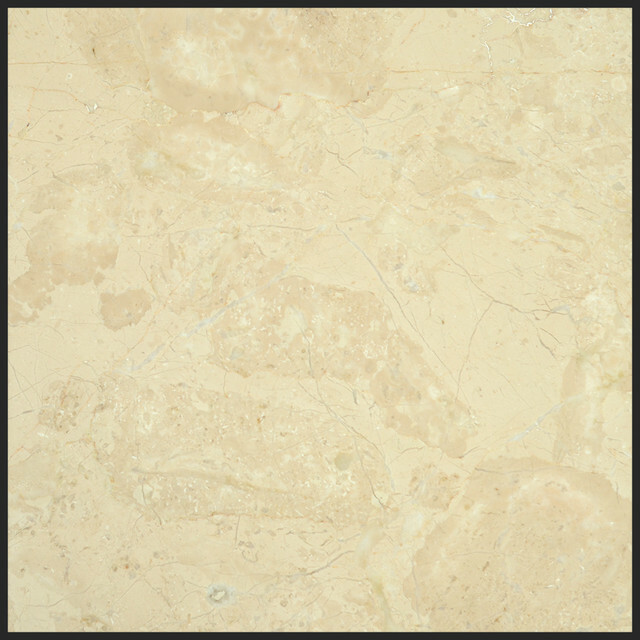 Bella Crema marble is affordable and readily available. Home and business owners can use it in any room that needs a new look. It’s appropriate for use with contemporary and traditional furniture, and it will make any home more attractive. Contact us today to learn more about our stock and see how this fine marble can help you make a great impression on customers.